It’s common news that LinkedIn is the best social media outlet for connecting with other companies. You may be wondering how you can improve B2B sales by focusing your social media marketing efforts at this site. It all begins with how thoroughly you set up your personal profile, and then how you set up your business profile will become most important to do correctly. Using high quality profile and logo images, adding history, references, and using keywords specific to your target market all need to be done to the best quality possible. If you are not a professional writer, you might want to ask someone else to create parts of these profiles for you to make sure they appeal the best to those who might find your company at LinkedIn. When your company profile is set up, make sure and add some of your products or services to the “Products or Services” page. 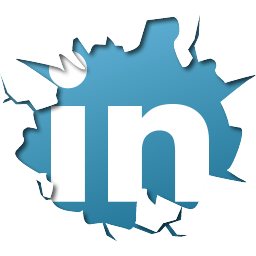 This allows people to see what you have to offer without leaving LinkedIn. When you make sure these products or services have recommendations, they will almost sell themselves. Make sure you use the highest quality images and if you need someone to write compelling descriptions, it will be well worth the investment. When your profiles are completely filled out, start to add connections that you all ready do business with and ask them for recommendations. Having glowing references from happy customers is sure to put you in the best light possible with new businesses considering working with you or buying your products. Also, include all of your employees. If your employees do not have LinkedIn accounts, allow them to set them up and manage them during work hours because it will become a valuable addition to your own profile. After your profile is the best it can be, think of LinkedIn as your networking party that is open twenty four hours a day and take advantage of all the networking opportunities. There are groups that address every topic that you can become involved with. When others at these groups get to know you, they are more likely to do business with you because of the familiarity. Engaging with other business people at LinkedIn will help you meet new customers who will be happy to consider your products or services because of the expert profiles they can see and because they get to know you or your employees through the different groups. You can also integrate other social media posts or WordPress posts to show up at your LinkedIn profile as well to create further engagement.